Comment: Lost a piece of facing in last storm. Had railings put in, hole in 2 sections from old railing. Some holes & cracks from balls. Some molding pieces need replacing. Already have spare siding pieces, but no moldings. Comment: A wind storm ripped a piece of the siding trim off the front of the house leaving the wood exposed. Comment: Not sure if I want partial or complete exterior done. Comment: Siding is missing or damaged in some areas. Wood under damaged siding needs replacement. Baldwin Siding Contractors are rated 4.75 out of 5 based on 1,711 reviews of 52 pros. 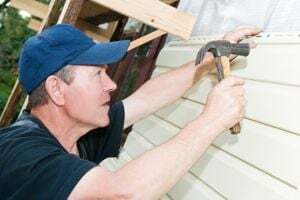 Not Looking for Siding Contractors in Baldwin, NY?